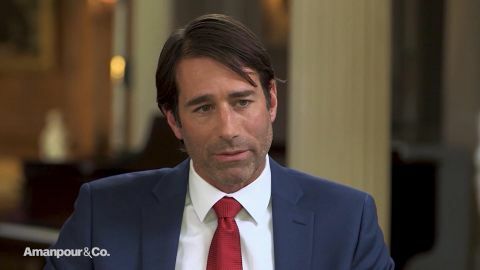 Walter Isaacson sits down with Republican Congressman Garret Graves to discuss why cross-party cooperation is still possible. Congressman thank you for joining us. We're here in Louisiana, your home state and mine, has a colorful tradition of politics and yet somewhat miraculously there's not as much partisanship as you see in other southern states right now. We have a Democratic governor, a Republican lieutenant governor, a legislature that able to pass by budgets and appropriations. I think it's Mardi Gras. Walter I say that in jest but but if you think of it a little bit we do have a different style here. We have a different culture and it's a very fun loving culture here. And so while with Republicans and Democrats we may disagree on policy, we do have fun and share time with one another and whether it is a Mardi Gras celebration or Jazz Fest or Washington Mardi Gras, we spend time together and it's not a situation where you're entirely tribal and spending time only with folks of like mind and I think that's one thing about Louisiana that really is amazing is how that joie de vivre, that fun environment that we have here, it does transcend the politics of this area and the different ideologies. Congressman Cedric Richmond represents the area right here. He and I are very good personal friends and we spend time together but we also understand the districts that we represent. He and I do a lot of legislation together, in fact have had the president signed a number of our bills in the law in just the past few months. We've gone through a really horrible period recently with the pipe bombs in the temple in Pittsburgh and Kentucky Kroger. There's a sort of divide in this country that I think people are yearning to heal. You're running for re-election and you're about let's try to get together, let's heal, let's avoid this shouting and partisanship. How do you think that resonates and how would you make that work? Well I think it's very different from what you're seeing in most other places. And that in many cases you see campaigns that are actually trying to drive people to the polar opposites. Our message is just that seeing this country being as divisive it is and seeing some of the volatility such as the events that you mentioned happening we think that there actually is a way for us to be working together and think that it is important for us to keep in mind that there are so many things that pull us together, whether it us all being Americans or us all wanting better education for our kids are all wanting infrastructure improvements and crime reduction and things like that and just remembering that we can work together, there's a path for doing it, and there are so many goals that we share. We think that it's a really powerful message that's being received well and we have tried to carry out that strategy and we've had some great legislative successes this year doing it. A traditional role of the president is to unify us and be president of everybody, to bring us together. Trump, with his rhetoric is not doing that. What would you say to Trump if you wanted to have him be part of healing this poison we now feel? Well, look, first of all if if if I had the chance to steal his cell phone with the Twitter account I'd be all over it. Unfortunately Secret Service keeps stopping me. But seriously, you know, Walter, I think it's important to keep in mind the environment that we're in where you have these 24 hour news cycles where folks are just constantly attacking each side in this barrage of misinformation or misleading attacks on folks and I think that it results in people responding in ways that are that are probably overly emotional. With the president, one of the things that we've we've tried to focus on is focus on outcomes and I think you can look at the fact that right now, all Americans, whether African-American with the lowest unemployment in history, Asian American lowest unemployment in history, Hispanic American lowest unemployment in history, 65 year low for unemployment level for women, these are great things that are happening and so try to focus people's attention on outcomes I think is one thing that's really important. I think the president has an entirely different style than I'm used to. I do wish that we could find ways to say things differently sometimes, but I think you've got to put it in the perspective of the environment that we're all operating in where it's this this crazy environment where everyone is trying to speak to their tribes and inciting those strong emotions. But isn't it the role of the president to say no let's stop this, let's not keep inciting both sides. He's got a extra responsibility. So Walter but let's keep in mind the environment that he's operating in. He's operating in this environment where you have 24 hour news cycles that are just completely beating him up constantly whenever and trying to paint this image of what's happening in the United States it's completely inaccurate. I don't understand why it is that everyone tries to paint this doom and gloom picture of this performance when things are actually happening if you allow the rhetoric to tone down and just looked around you'd realize that things were going pretty well in this country and that perhaps this approach in terms of the economy and regulation is actually benefiting all Americans as opposed to this doom and gloom in criticizing every single decision that happens. But isn't the divisiveness somewhat driven by a president who keeps tweeting and saying things at rallies that seem bullying and seem inaccurate. I think that I think that a lot of his his comments were actually in response to what happens and how things are. You don't see that he has a bigger role to transcend just responding? I think that I think that the press has a bigger role and I think that the president needs to, I'll say it again, I would I would take away his Twitter if I could. And if you were in his role, would you be acting differently? It's not my style but that's a personality issue. Look I think that you've got to remember, Americans, I'll tell you I'll tell you something that was one of those those most revealing moments for me during the presidential election. I watched an interview and I think it was on CNN where they were going through when they were interviewing all these millennials. And they were interviewing them and they said who you are you going vote for for president. And almost every single one of them said they would vote for Bernie Sanders. So then they said well what happens if Bernie Sanders doesn't get the nomination? Virtually every single one of them then said Donald Trump. And at that moment it was very clear that what voters were looking for is someone that was going to come in and flip the tables over and caused this this transformational change. They weren't looking for folks that were going to come in and sort of rearrange decks on the Titanic or make these small changes. People did not feel represented. I think they wanted this bold change and that's what we're seeing right now. I think one of the things that may unite Louisianians is we kind of know we're in the same boat when it comes to hurricanes and flooding and things. To what extent should that be a nonpartisan issue and how could you for example make climate change, which has become such a polarizing issue, which it hadn't been in the past, you know Republicans versus Democrats, how can you make that a unifying issue? Well if you think back to the history of Louisiana and in our coastal land loss problem, we've lost about 2000 square miles of our coast. I think initially a lot of people looked at it like an environmental problem, like a birds and fish problem, not a human problem. Hurricane Katrina is really what united us here and that folks understood that it was an economic problem in addition to an environmental problem and it made folks come together. Now we had to lose 12 to 1500 of our neighbors and brothers and sisters and friends in order for us to come to that realization. But now there is a very concerted bipartisan effort to restore the coast, restore our coastal wetlands and environment. And it's and it's working well right now. In regard to climate which of course is challenging our coastal problems with sea rise, it's one of those it's one of those posterchild issues that makes Republicans and Democrats resort to their respective corners. And I think that redefining it and I think that we have an opportunity with climate change and with welfare programs and others to redefine it. And so for example since 1980 in the United States, we've had about 220 disasters that have cost our nation over a billion dollars. We've spent one point five trillion dollars responding to those disasters. And so instead of talking about climate change as as this big issue that is related to emissions, talking about how we can come in and carry out adaptation projects and help to improve the resiliency of our coastal communities in our coastal eco system because 40 percent of our nation's population live along our coastlines in those counties and parishes and you've got to get good at living resiliently in those areas because we can't afford the alternative of continuing to be reactive. So it's all about redefining. But you would push that that be accompanied by carbon reduction. Well so so I think if you come out of the gates and say we're going to do this because of carbon reductions I think you're going to run into a brick wall. But if you can talk about it from a hey here's a way for us to approach innovative innovatively approach bringing down consumer prices, helping to reduce prices on how much it cost us to drive our cars or how much it cost us to power our houses, how much it cost us to power these factories that we're building products and competing on a global environment, you reduce emissions because of the innovation, the conservation and the technology that you're bringing to the table. And so you know if you're in if you're in Democrat circles, sure talk about it from hey here's my emissions reduction idea, but if you're in Republican circles I think there's a different way to define it to help bring folks on board and not have this continued knocking of heads or resorting to corners. The various climate change studies we've seen say we have maybe 12, 15 years before it's going to get really bad. Do you feel there is a manmade component to climate change and we have to have a holistic approach? I think that I think that there is both a biogenic or natural impact and I think that there's also a manmade impact, anthropogenic, that is contributing and I do think that we should be looking at it holistically. You're at the forefront of transportation and infrastructure, not just coastlines but throughout this country. It's been one of your field. Why is it we haven't had a great infrastructure rebuilding program as the economy got better? Now, with our economy growing like it is, I think you are seeing the cracks in both workforce and infrastructure and infrastructure is a huge one. The under-investment and the, I think poor priorities that we've exercised over the last few decades are really showing right now. And I think one of the problems with infrastructure investment is that everyone knows of infrastructure projects that were low priorities that were built anyway, sort of politicizing where these investments go. And I think that has really frustrated a lot of taxpayers. And so you know what I'm not giving more money to that system that has delivered poorly to our communities and has mismanaged the dollars that are there. So I think that's been a big part of it. I also think that you continue to be largely in this in this disconnect between a lot of the taxes and fees that are out there and how they may benefit communities and what I mean by that is right now, and you and I were talking earlier, Baton Rouge Louisiana, 13th worst traffic in the nation. New Orleans Louisiana, 20th worst traffic in the nation. Those are positions we don't deserve when you look at the population and so I think that a lot of the the community is just very frustrated that they're paying dollars and they're not seeing projects that are actually yielding results. So whenever people come in and say well I want more, I want more money to invest in projects, people say well no I'm not going to give you more. We've got to do a better job helping to quantify this is how much money you're spending in extra gasoline payments because of traffic, this is how much time you're wasting in traffic and this is how much those additional emissions are affecting our environment and our community health. In helping to quantify some of those costs today and then also demonstrating if you give us this much we can build these five projects, which will then cut your extra gasoline payments in half, will give you back 30 hours a year in your time sitting in traffic and will help improve the environment by this and we've got to help to reshape that discussion because I think that everyone looks at an additional fee or tax as as an increase whereas there are ways where you can clearly demonstrate that some projects are truly investments that are going to provide a return. If the Democrats win the midterms do you think we're fated to have really bad gridlock or could people like you and your friend Cedric Richmond from here actually lead us out of that wilderness? I think that if if the House flips the Democrat I think that you're going to see some very aggressive oversight, investigations, activities that are going to probably further divide the Congress for a period of time. Without a doubt you will have some relationships among different members of Congress that will transcend party. But I do think you're going to see for several months a good bit of believe it or not growing divisiveness if the House does flip as a result of some of these efforts. And you've heard members of Congress talk about it about what their oversight agenda would look like against this administration. And so I think ultimately you could you could see some some islands of bipartisanship happening but I think it is going to be a very divisive environment if that happens. Thank you very much Congressman. 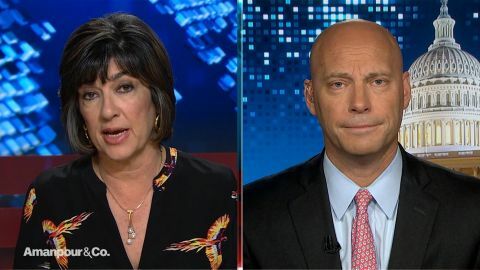 Christiane Amanpour speaks with U.S. 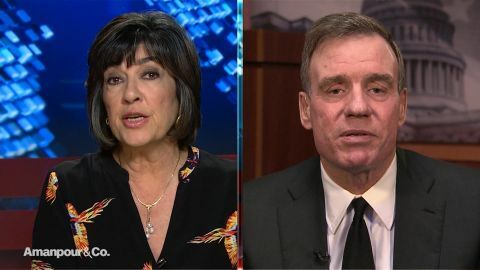 Senator Mark Warner about new theories about what happened to Jamal Khashoggi and former White House Director of Legislative Affairs Marc Short about President Trump’s pre-midterm rhetoric. Walter Isaacson speaks with U.S. Representative Garret Graves about cross-party cooperation.